James will be at the Market on Saturdays and Wednesday's (July) with Beans and more beans.....by the lb or by the bushel. 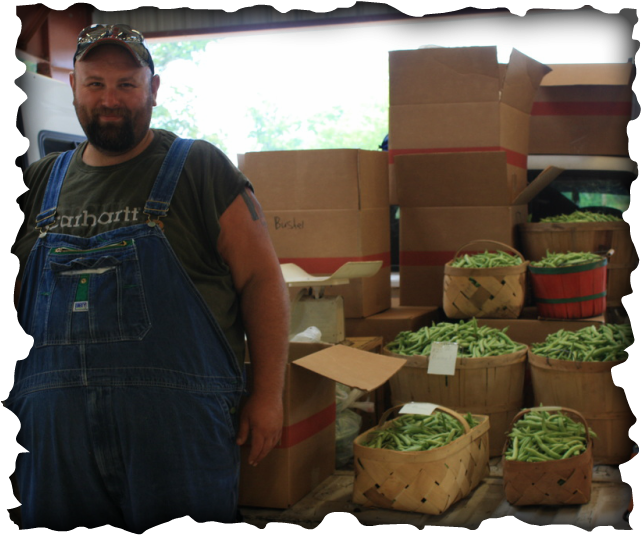 Call him ahead of time at 423-552-1934 to order your beans by the bushel and he will have them available at the market on Saturdays for pickup by 9 am. Get your tokens at the information table.